Voter ID Online Form 2018: Fill your Voter ID Online Form 2018 from here!! 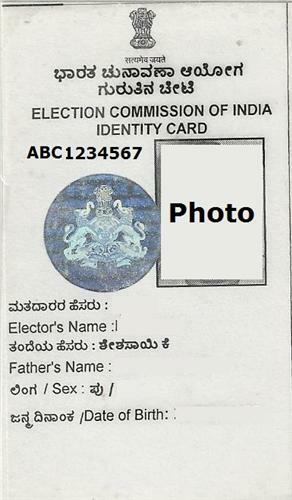 Voter ID Card or you can say Electors Photo Identity Card is issued by Election Commission of India to Indian Citizens who are eligible for voting. To download the Form6, candidates have to visit the official website of National Voters Services Portal (NVSP) or they can follow the below stated step by step procedure for प्ररुप 6. What does your Voter ID Card Contains? Additionally, applicant must upload a photo and supporting documents with reference to Voter ID Status. What are the documents required at the time of submitting Voter ID Online Form? Who can apply for Voter ID Card? Applicants after or of 18 years can fill Voter ID Online Form. They should be of sound mind, free of criminal charges and not financially bankrupt. They should fill out the relevant documents such as Form 6 and ensure that they provide relevant original documents. How to make changes in Voter ID Card? To make changes/corrections in voter ID, candidates have to visit the nearest election office and fill “Form 8” indicating the corrections to be made in your voter ID and submit the form along with relevant supporting documents to the Electoral Registration Officer (ERO). How to track Voter ID Application Status? To track your Voter ID Application Status candidates have to visit the official website of National Voter’s Service Portal that is www.nvsp.in and then hit on Track Application Status link available on the top on the homepage. Then enter reference id number in provided box and hit track status option. By doing this you can track your Voter ID Application Status. Stay connected with this web page to get updates on Voter ID Online Form 2018–19. You can also visit to this Official Link.